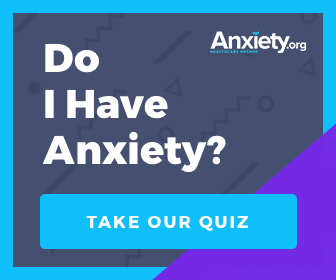 Dr. Barbara Cox concludes her article series on ditching anxiety and living happily by explaining how meditation can be used to achieve fulfillment. This is the last installment of my three-part series on how to ditch anxiety and find your muse. In the second article of the series, Ditching Anxiety & Finding Your Muse: Part 2, I helped you define your goals, and now I'm going to teach you an exercise that you can do to help focus your motivation toward your goal and activate your creativity. We want to reach a focused state of mind. Focused states lead us to alpha brain wave patterns, which heightens our creative intuition and promotes a relaxed state. In our focused states, we become energized and excited to accomplish our goals. This can be easy to learn, and you can also choose to practice it over time to get better at it. One easy way to get there is by meditation, which leads to a trance state. Meditation is the act of focusing your attention on one thing for a period of time. Plain and simple, right? It doesn't have to be mysterious. Because of its simplicity, meditation is something you can practice by yourself, whenever, and wherever you want. It comes in handy when you're having a wave of anxiety and need to calm down. It is a natural state of calm, focused awareness that you can use to bring you towards a beneficial goal. Many scientists have studied meditation over the years to determine the "active ingredients" for how it works. Herbert Benson, MD, of the Mind/Body Medical Institute has studied meditators of various backgrounds. He found that anyone could achieve this focused, alpha state by meditating, regardless of his or her background, religion, or belief system. 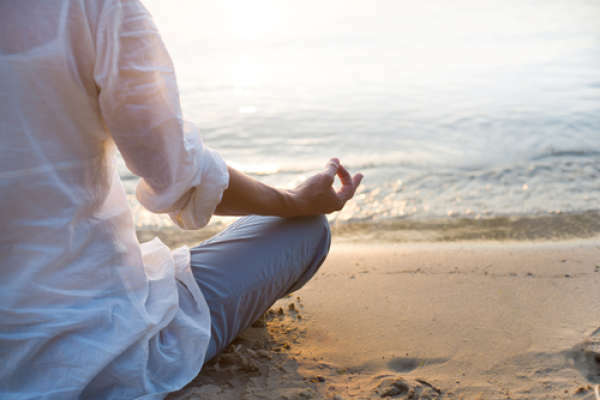 Meditation has been shown to leave lasting health effects and foster a sense of well-being. Before we start, let's review the exercise. Focus on a word, sound, phrase, or object by repeating it. Or you can simply choose to focus on your breath. Gently release everyday thoughts that cross your mind and continue focusing on the word, sound, phrase, or breath. Continue for five minutes as a beginner. Feel free to go up to 20+ minutes if you are experienced in meditation. In order to set this exercise into practice, take a few minutes—maybe 5 to 10 or even 15, if you have the time—and find a comfortable place to sit down. Make sure your feet are flat on the floor if you are sitting in a chair or on a couch. This will help to ground you as you practice. Be sure to take full, relaxing breaths and repeat Step 1 and Step 2 for several minutes. Repeat this for a few days in a row. Over the course of these days, write down anything you notice that is different about yourself or your environment, especially noting when you tap into more creativity or feel more relaxed throughout the day. Before starting the meditation, identity one goal or issue you'd like to find a creative solution for. (Review Part 2 for help in setting a goal). After a few minutes, ask your creative unconscious for a new solution to the goal or issue to resolve. See, hear, or feel what arises. The point of this exercise is to get you into the habit of setting aside time for yourself, clearing your mind from any anxiety. We can't always predict what happens in our daily life. Sometimes the obstacles we run into can overwhelm us and distract us from our goals. That's why it's essential to take a few minutes during your day to regroup and focus on just being. Getting into this relaxed alpha state helps you remain healthy and remind you that, beneath the apparent stressors, you do have a center of calm inside. Even though you may have forgotten it's there, this state of calm is a natural state we are born with.